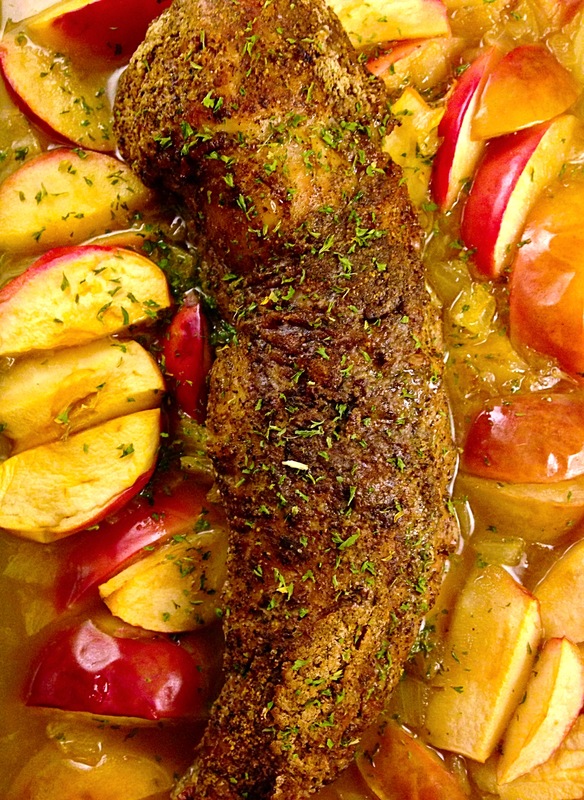 “Drunken Bobbing for Apples” Pork Tenderloin | Buoy. I’m currently going through the Oprah 21 Day Meditation Experience and it’s focused on the Energy of Attraction. I’m learning how we attract “things” in life, both “good” and “bad”, depending on our desires. When our desires align with our true selves, we attract “good things” effortlessly. For me, attitude is the MVP of attraction. A joyful heart and positive attitude, attract joy and positive things into your life. Food for thought: What are you attracting into your life? How can you tune your attitude to attract the things you desire? 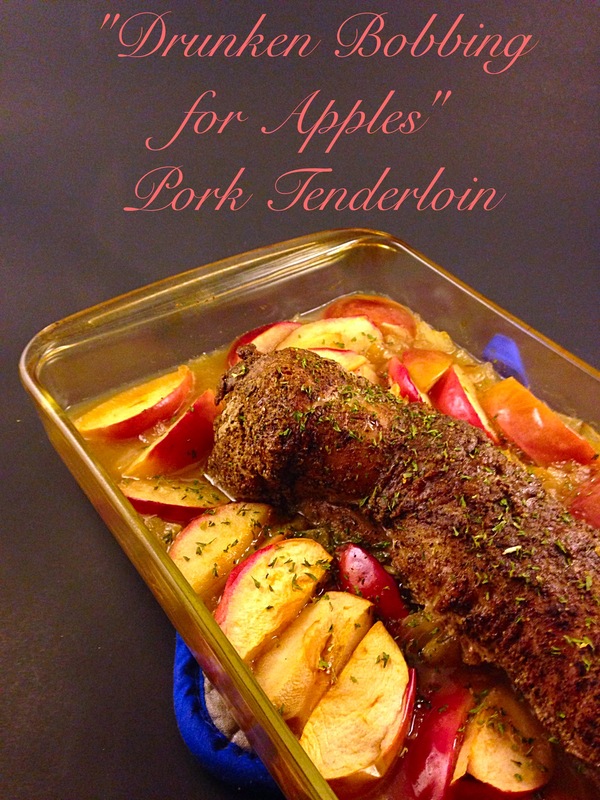 Description: “Drunken Bobbing for Apples” Pork Tenderloin. Wow – that’s a mouthful! 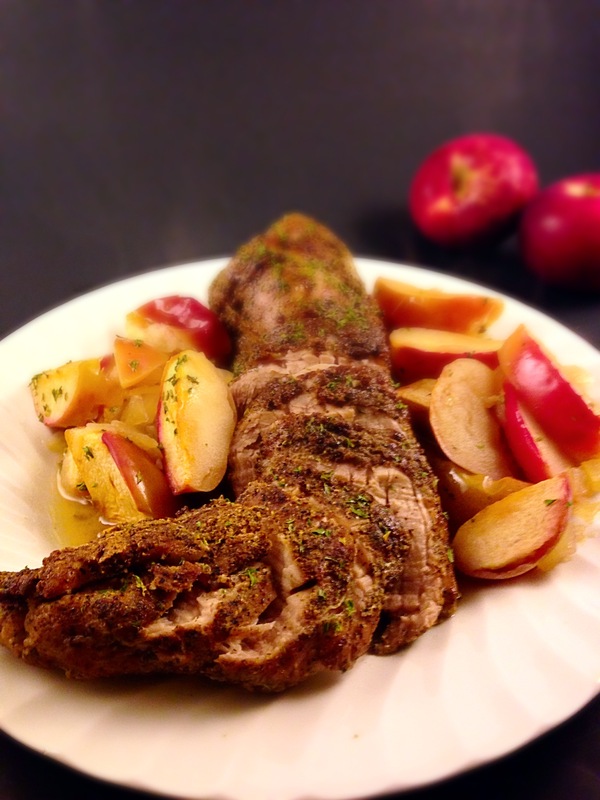 …and so is this pork tenderloin. The cardamom is the humble star of this show, while the beer and apples are supporting roles you keep hoping come back on stage. 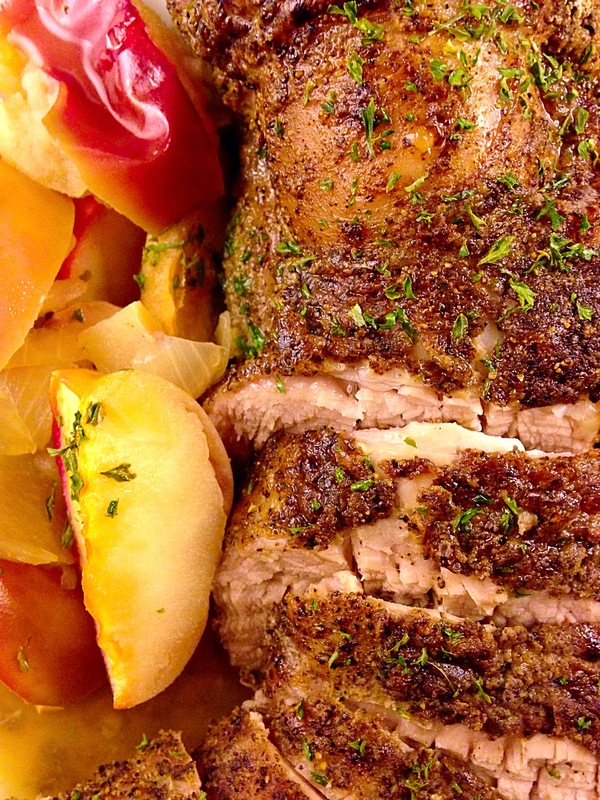 Tender, juicy and flavorful, this tenderloin is a weekday winner or a festive autumn dish for entertaining. 2. Sauté onions till transparent, then add to 9X13 glass pan. 3. Add apples to onions and pour beer in pan. 4. Mix spices together and rub onto tenderloin. 5. 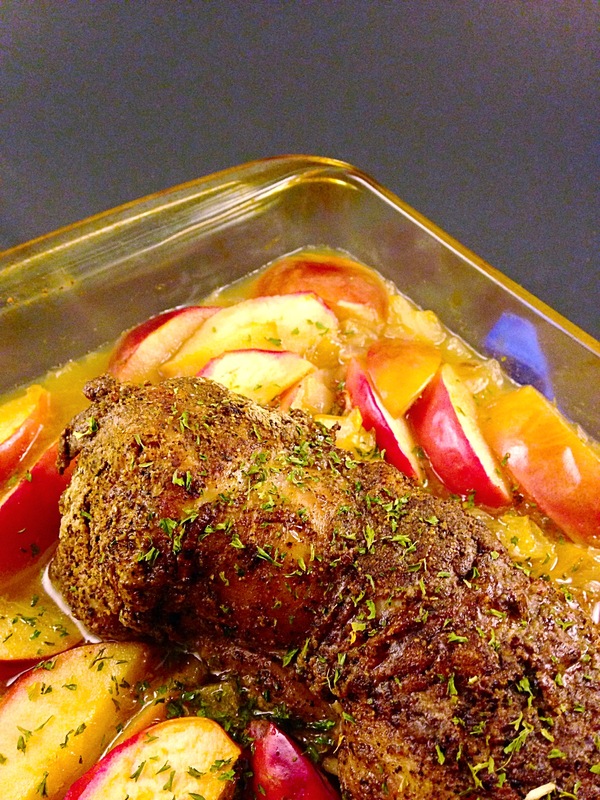 Sear both sides of meat on medium high and place amongst drunken apples. 6. Bake for 45 – 60 minutes. Oh my gosh, this sounds amazing! God loves an “attitude of gratitude”, aka a thankful heart… Love it!